Deuce! Take a Big Island Tennis Vacation! I’m sure you’ve heard of soccer moms. But, there’s a whole new breed of moms out there called “tennis moms.” And, I’m one of them. I not only have one, but THREE, children involved in tennis. So, it’s sort of become our life. The Fairmont Orchid: USA Today recommends this resort, located on the Big Island’s Kohala Coast. The 10-court, full-service Hawaii Tennis Center is consistently recognized as one of the best facilities in the United States, and features lights for evening play and a dramatic stadium court. Services include match arrangements, instructional theme clinics, racquet and ball machine rentals, private and semi-private lessons. According to the newspaper, the resort offers a three-day tennis camp highlighted by state-of-the-art Dartfish video analysis of strokes. Participants can choose from all-day or half-day itineraries. The resort’s tennis facility includes a ball machine and equipment rentals. Vacationing tennis players can relax after their matches at the Spa Without Walls, featuring eight private outdoor waterfall hales, or huts, for therapeutic massage treatments. Tennis vacations are a great way to improve your game, while still enjoying all Hawaii has to offer. Holua Resort at Mauna Loa Village: Holua is one of the largest lighted tennis and pickleball facilities in Hawaii. The resort has eleven (11) tennis courts, featuring an ATP and WTA Stadium Court, seven (7) lighted courts, eight (8) pickleball courts- four (4) of which are lighted. USPTA Certified Master Professional, Donnia Bondallian, directs the center. Under her supervision are an array of programs, lessons, pickleball, and stimulating activities at your disposal. The teaching staff of USPTA (United States Professional Tennis Association) certified professionals provide the latest techniques in educational, challenging, and fun approaches to tennis. Utilizing the most efficient teaching concepts for all ages and levels of play, they have successfully coached juniors, adults, and seniors for sectional and national competition. 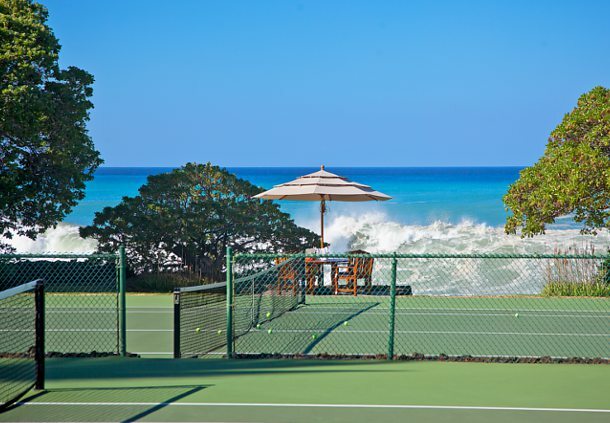 Mauna Kea Beach Hotel: Along the stunning ocean coastline north of Kaunaoa is the 11-court Seaside Tennis Club, one of the largest and most sought-after tennis experiences in Hawaii. 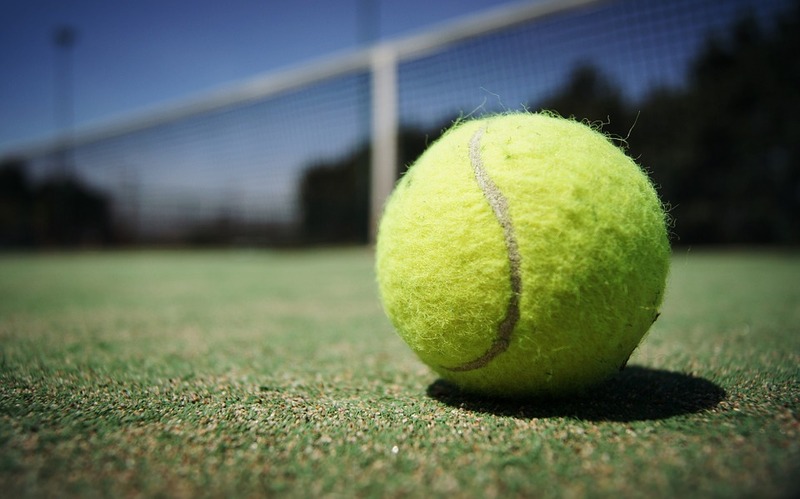 In addition to great tennis, Craig Pautler and his team serve up some of the most thoughtful touches available at the best private luxury tennis clubs, as well as lessons and daily clinics, round robin tourneys, and a comfortable lanai to relax in the shade. The 11-court Seaside Tennis Club is one of the largest and most sought-after tennis experiences in Hawaii. Hilton Waikoloa Village: Tennis is enjoyed by players of all levels on the resort’s state-of-the-art courts nestled in the midst of beautiful tropical foliage. Featuring eight PlexiCushion hard courts and a 432-seat Stadium Court, the tennis resort at Waikoloa offers clinics Monday through Saturday and also hosts round robin events. For those of you who want the exercise benefits of tennis without seeking vast improvement of your skill set, consider taking tennis aerobics on Mondays, Wednesdays, and Fridays at 7:30 a.m. When you take a Big Island tennis vacation, you can enjoy as little or as much tennis as you like. Play in the morning and enjoy an Island Breeze Luau at night. Or, take a Big Island Snorkeling Adventure in the morning and play doubles in the evening. Whatever your skill level, interest, or schedule, you’ll find an opportunity to play tennis on the Big Island of Hawaii!